It used to be (when i was growing up) that people in churches were told that they were scared of evangelism, for the decade of evangelism, then people were told not to be scared of the Holy Spirit, either during Pentecost or as a backlash from the heady days of the ‘toronto (or whatever it became) blessing’. And as a result there was a reassurance given about these things, before then the experience was given of them. Both ‘Evangelism’ in its day (is it standing on the street corners or door knocking) or the Holy Spirit ( will i speak in tongues) had a fair share of bad press and ambiguity about them at the time, and so, reassurance was probably needed, and at times still is. In effect, it might argued that to pioneer is christian ministry is to do what was supposed to be done, and not be consumed by the institutional stuff it has become. In a way its not really pioneering at all, just reclaiming, and reverting to what original practices might be. Any thoughts in what we used instead? Sometimes I use old school ‘missionary’ as it sort of says what it does on tin – but also has imperialistic implications, rather than laying down our lives & agenda to serve a new community/context? Not many people directed me to articles in the field of pioneering at the moment, however, this one was brought to my attention: ”Pioneering Mission is… a Spectrum?‘ In which it looks like someone else has done the same kind of exploratory exercise, looking at the key writers and definers of pioneering. In a way, my survey has been less academic, and may have captured the mood from the ground a little more. However, it is a good piece and worth checking out. Pioneering in some places might be as scary as ‘The Holy Spirit’ or ‘Evangelism’ might be said to be, it might be as confusing, or even as unheard of. Just a ‘new’ flangled thing’ that Millenials are doing to ‘wreck the status quo’ – when i say millenials, i mean those who grew up in youth ministry and are continuing to shake things up a bit. Pioneering might be too much of a step, or it might be what the church, thats just started a messy church, or a community event, might already be doing without the need to define it. The problem with defining pioneering is that it reduced it to something, the problem with overusing it is that what it could be about becomes lost in over use. There are also many images and metaphors around about pioneering. Absolutely a buzz word with a plethora of meanings….it is so over used that it has become meaningless…..! whenever it works well it (pioneering) is fabulous, Whatever works well actually means! I am not going to end this piece with my own definitions, as that in itself wouldnt be very pioneering. 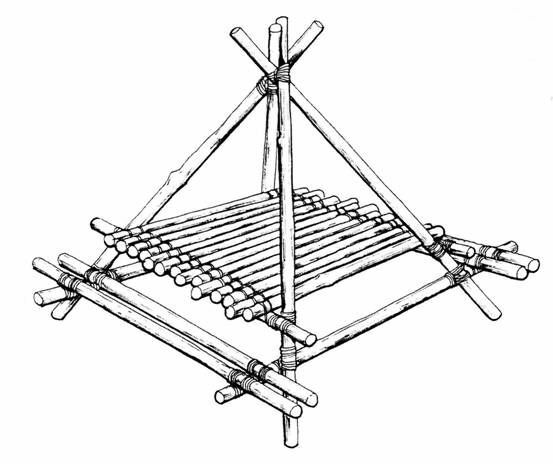 What is interesting for me is that when i was in the Scouts growing up, if you had said the word pionnering, i would have though you meant to create a structure using raw materials ( rope/poles) as a team in order that that structure did something. Ie was a bridge, a platform, a pulley. It was a team effort to be creative, and was a great way to spend 2-3 hours on a scout camp. Pioneering, in that sense was about ideas, creativity, using resources, planning and strategising. It was about making something from nothing, and it was about team work. Sometimes it was about competition. But it wasn’t about doing something alone. The problem in the elevated view of alone working in the church is that it creates many of the issues described in the definitions above. Maybe pioneering needs to be more of a team thing, a deliberate team thing. There is also much for the church in regard to pioneering, it needs to learn from those who do it, encourage it an be the team that gives it a go, especially if beyond the buzzwords theres a realisation that pioneering is just about doing what was authentically the mission Christ gave to the disciples in each local area. To go, make disciples, and to do good. The worst thing that can happen is that it becomes another catch all for everything, or derided as something just as a fashion a fad or business speak. If it captures the essence of going to the margins (because thats what might be needed to be pioneering) and planting, creating and developing approaches that are good, that might be new (in that context) then pioneering is the challenge and prophetic voice that the church might be in need of hearing and embodying in its good practical work in every local community. Some of the definitions from the conversation were from those who are the real pioneers, so learn from them, reflect on their definitions and where their passions are. I thank them all for their honesty, insight and wisdom on this. I would so hope Pioneering does not become the buzzword everyone starts to hate, or the establishment derides as not needed. But language and its overuse might be a problem. Why young people arent the answer to the church’s status anxiety, they deserve better. Thank you for collating these comments, adding your reflections and sharing. Thank you for your article James – some great reflections that the wider church needs to hear! Creative – contextually strategic – prophetic – intentionally team…..YES!!!! !